Just slip a business or name card into the clear pocket backing for instant luggage identification! luggage identification! Price Includes 4 Color Process imprint. Exact color match is not guaranteed, please send a color print for color matching purposes. LS1 strap included in price. LS1 clear strap shipped unless other specified. 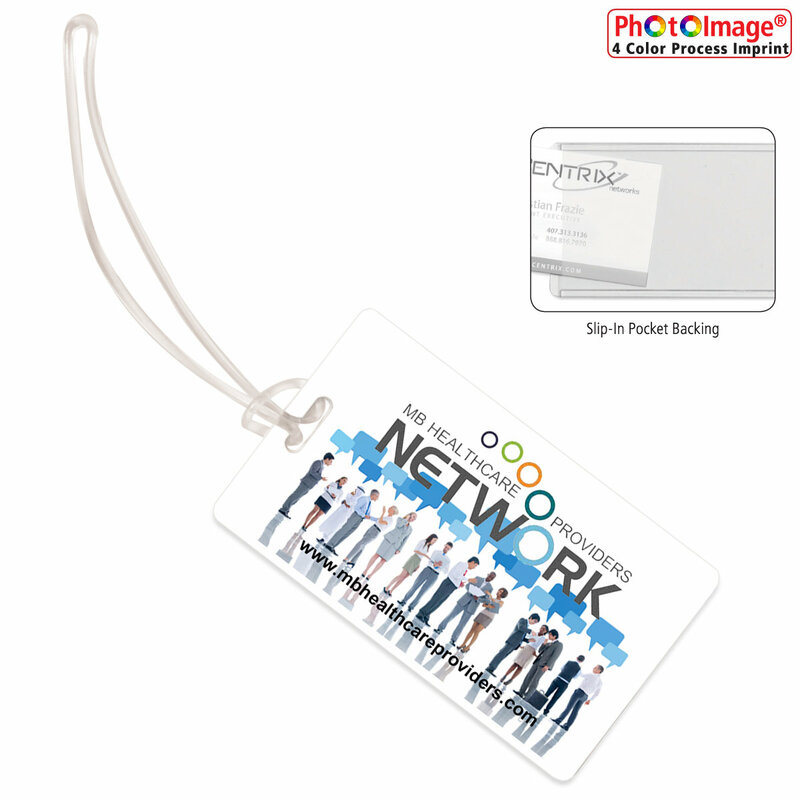 Tags, straps and ID cards bulk packed separately. Polybagging add .08 per unit; to attach strap, add .06; and to insert ID Cards, add .06. Add 3 days to production. 4 Color Process Repeat Setup Charge: 25.00. Made from Recycled Styrene Plastic.